Merchant Services of San Diego is the total solution for all your merchant needs! Sign-up using the form or call us at 800-652-3434. 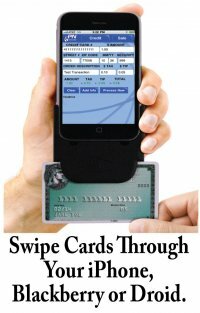 We specialize in: credit and debit card processing with the guaranteed lowest rates in the industry, credit card terminals, smart phone wireless transactions, hard-to-acquire high risk merchant accounts, PIN Pads, ATM Placement, e-commerce, gift card programs, cash advance programs, check verification services and much more. We offer San Diego businesses like yours affordable, comprehensive, and dependable credit card processing solutions designed to support all your everyday business. Whether you are a new business looking to start accepting credit card payments, or are simply looking to lower your existing rates, we are dedicated to helping you meet your goals. Most importantly, we provide you with a level of customer service you just don't find everyday! Nothing is more important to us than our customers' satisfaction and no other company will work harder to achieve it. With our office located here in San Diego, not a corporate office across the country, we are able to focus our attention on personal relationships with our customers and can provide service quickly and effectively. We strive to provide excellence in everything we do and are here to serve our clients 24 hours a day, 7 days a week. Contact us today for a free consultation to learn how our services can maximize the efficiency of your business and help you achieve great success. Merchant Services of San Diego is simply the best, most affordable way to accept Credit Cards payments from your customers. We can help you find the right plan to take care of your needs and provide you with all the equipment and resources you need to continue accepting Credit Cards . We believe in maintaining long term, productive relationships with our clients, and providing you with the Credit Cards processing solutions you need. "Cameron Koether is the owner. He analyzed my situtation, gave me a very competetive quote that beat the contract that I have with a very big box store. I saved hundreds of dollars per year on his contract. Thanks Cameron!"